Blazers are a great way to dress up a casual look or take a look from day to night. One of my favorite things about blazers is that they are great for year round wear. I can't wait to style my blazer this summer with shorts too! 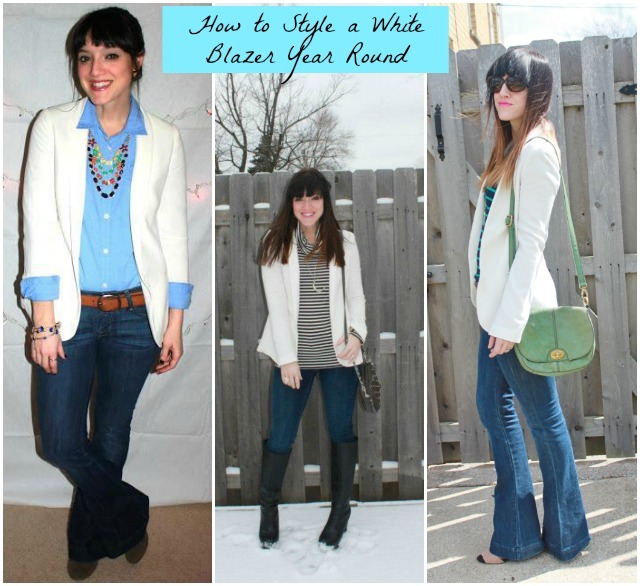 Do you own a white blazer? Do you wear your blazers year round too? *Check back tomorrow and Wednesday for photos from my two days at Lollapalooza! 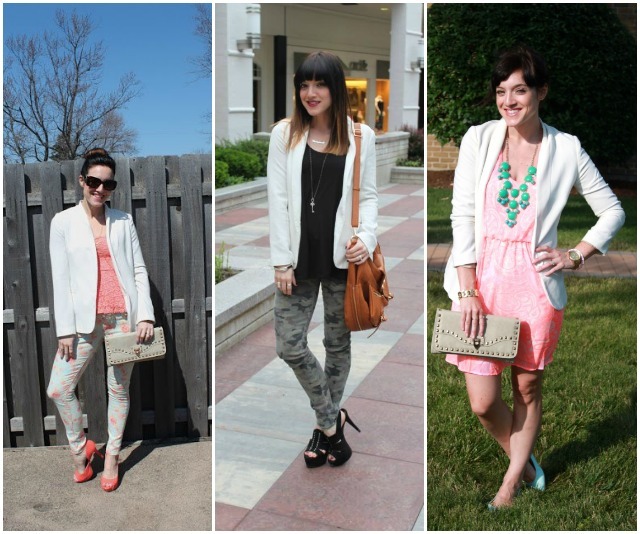 So many looks you can rock with a simple right white blazer. Love all of your looks! I don't own a white blazer... yet. I just haven't found one I really love, but I have so many ideas for how to style it. I love the ideas you suggested as well!